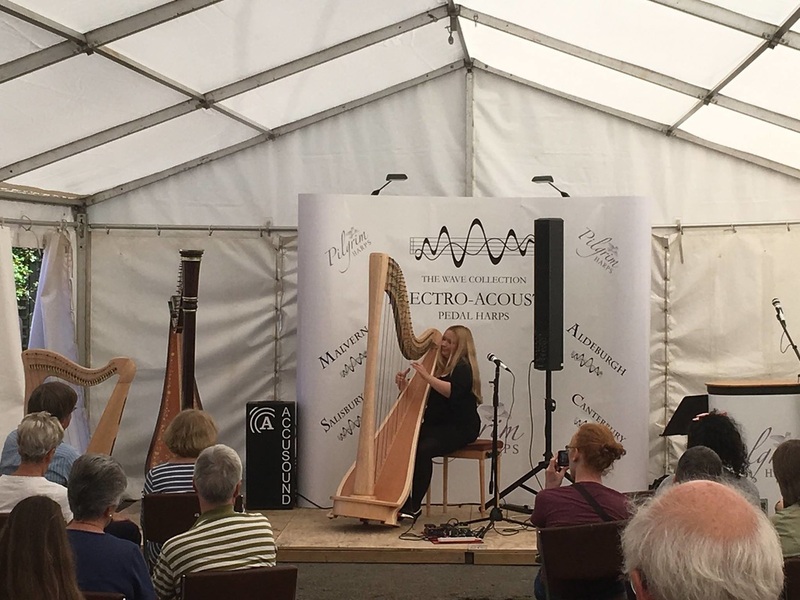 Harpists Fran Barsby and Anna Blumire taught form 10am - 4pm in our come and try tent. 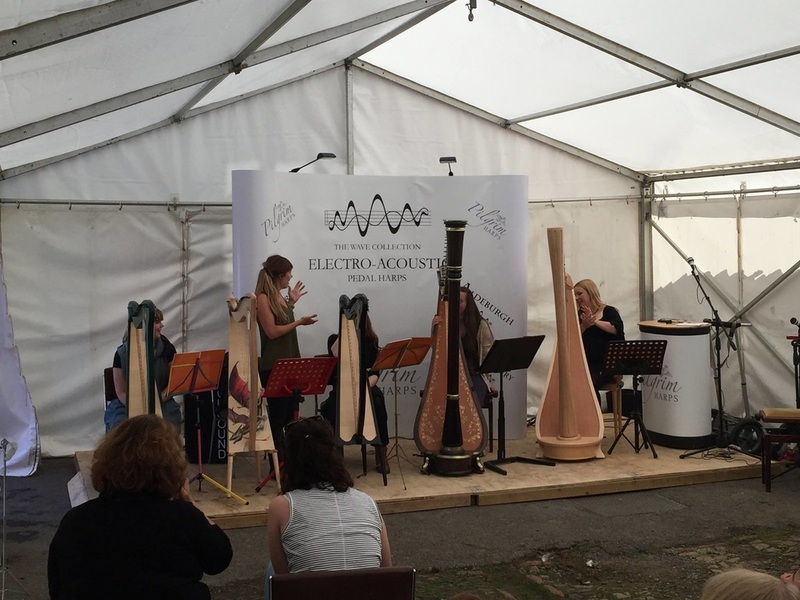 It was fantastic to see so many new faces try out the harp for the first time. 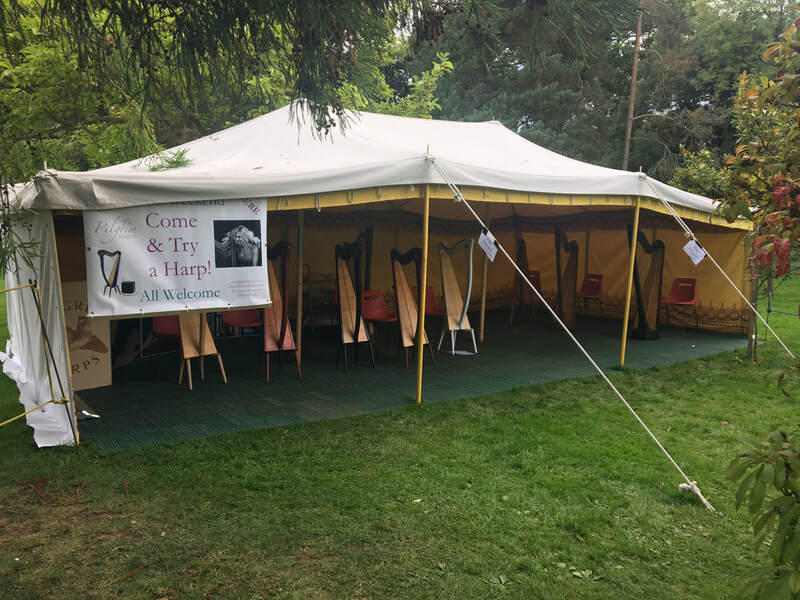 ​Good luck to everyone that has now begun their harp journey! We had a show stopping array of artists for you again this year. As well as something new and exciting! Anna Blumire has been playing the harp from the age of seven and has always loved music. She grew up surrounded by harps as her dad Jerry Blumire is one of the directors here at Pilgrim Harps. 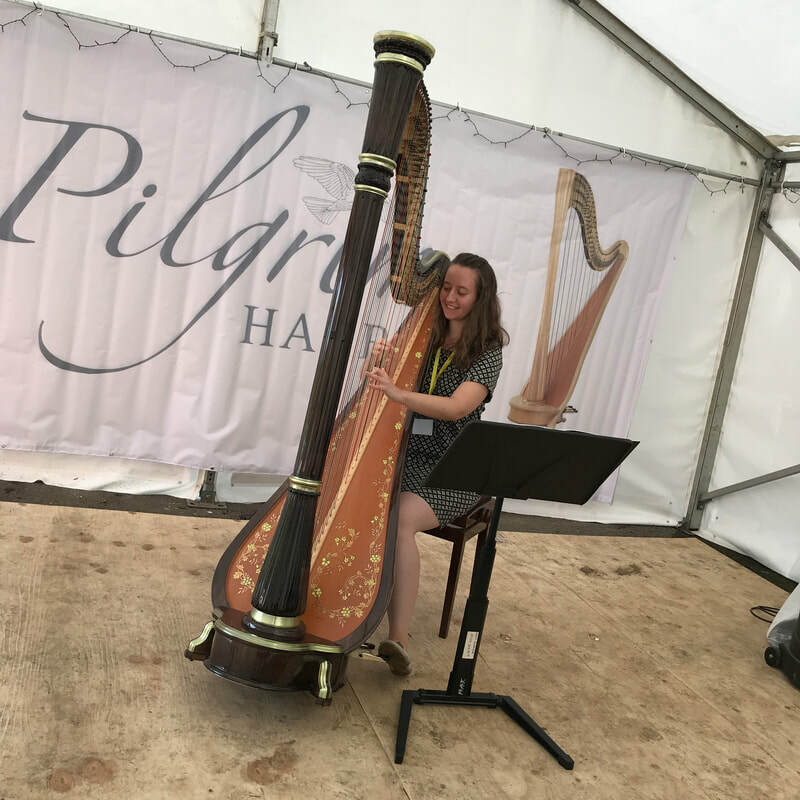 She is currently studying the harp at the Royal Welsh College of Music and Drama with Val Aldrich-Smith and wants to go on to study music therapy. Anna's concert was a beautifully relaxing jazz inspired experience. Lovely popular tunes such a Moon River and My Favourite Things send the audience to a beautiful sound world they hadn't experienced before. Thank you Anna for your stunning performance. 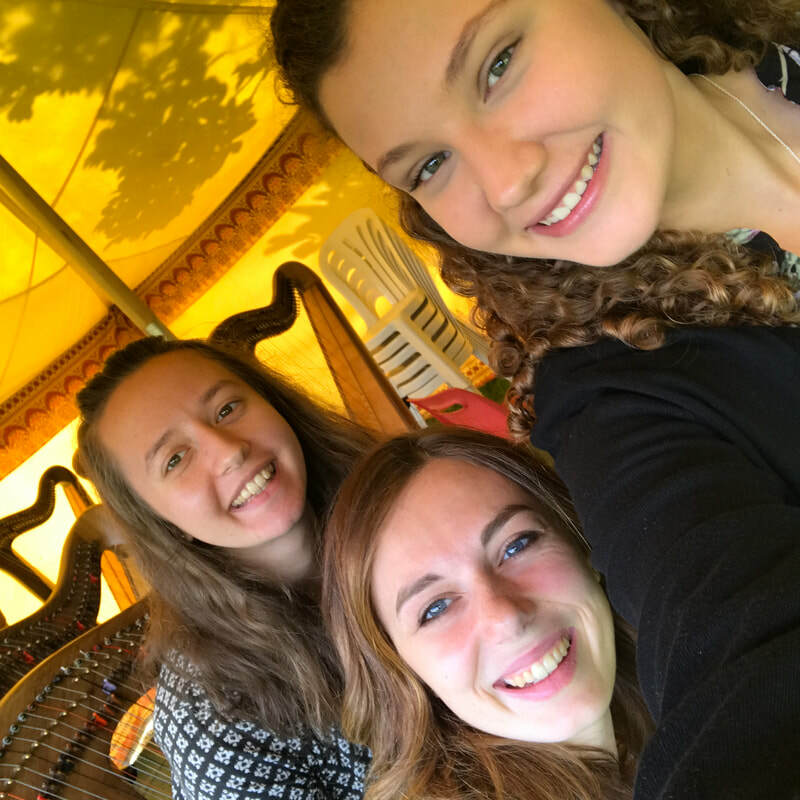 We were lucky enough this year to have a brilliant collection of young harpists ready to play for us. 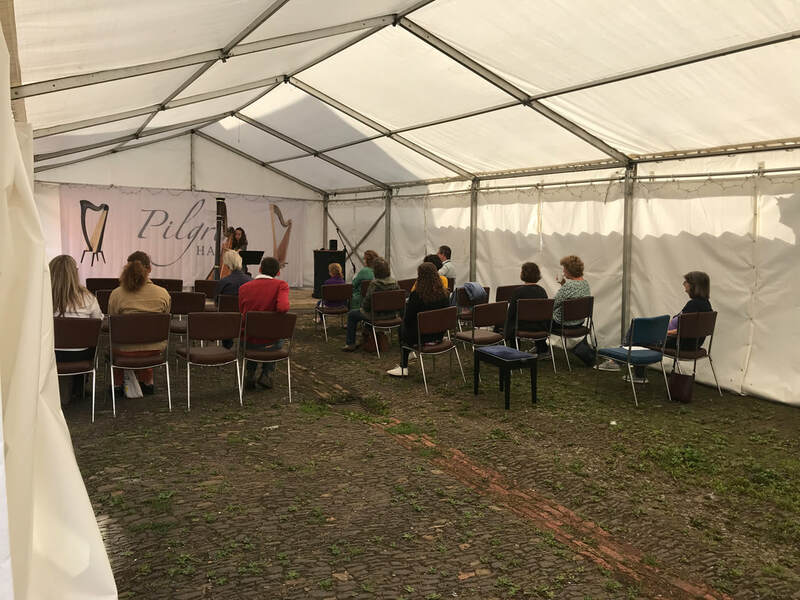 They performed an eclectic mix of music - including Tournier played by Lucy Bishop, Tides of Wight and Einaudi performed by Sam Rose to mention just a few - something for everyone. Just think how far you could come in just a few years time! Thank you Lucy for your gorgeous performance we feel so lucky that you came to perform for us all. Lucy grew up in a house full of music: one of her earliest memories is standing by her father and singing while he played the piano. She was encouraged to sing at local poetry and folk evenings from the age of four with him accompanying on guitar. Lucy learned to play the piano and oboe as a young girl, and at ten began studying the harp at Bexley Music Centre. She studied for a music degree at King’s College London before moving to Cambridge. Here, she studied Music Therapy, before teaching at King’s College School, Cambridge, and then as Director of Music at St Faith’s School in Cambridge. Having left full-time teaching in 2014, Lucy now divides her time between performing, recording, composing, teaching, and leading worship. She currently directs the choir of St Andrew’s Church in Cherry Hinton and is also the Chaplaincy Harpist at Addenbrookes Hospital. Lucy has released four solo albums: May the rain fall softly (2008), Penny on the water (2010) Somewhere between the words (2016) and Songs for Christmas (2017) with GingerDog Records. Setting my sails is due out next year. 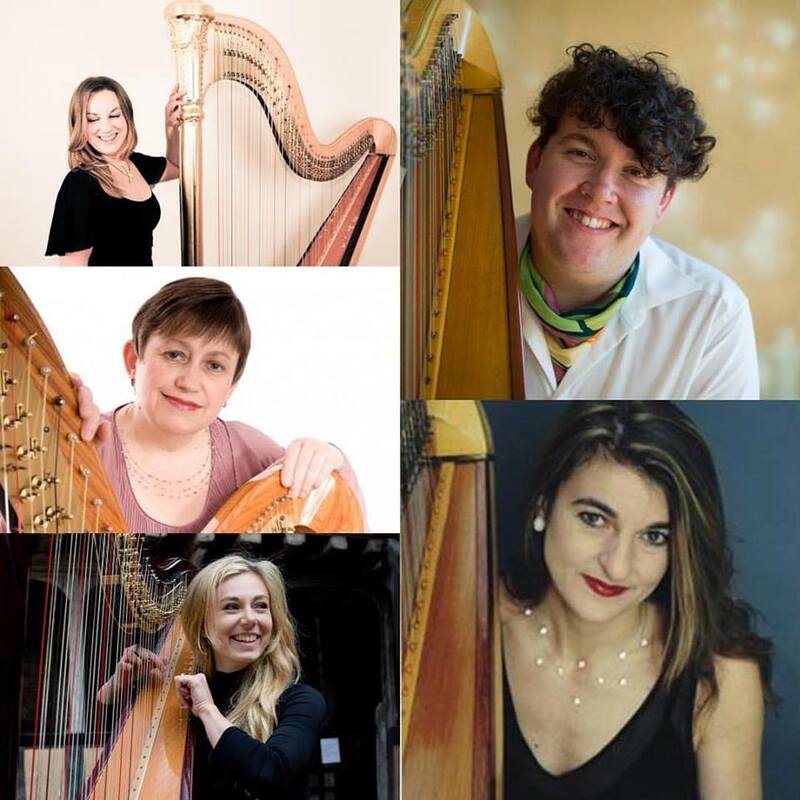 Described as friendly and approachable, Fiona is blessed with a strong sense of humour and a personality to match her energetic and dynamic playing styles on the Harp. 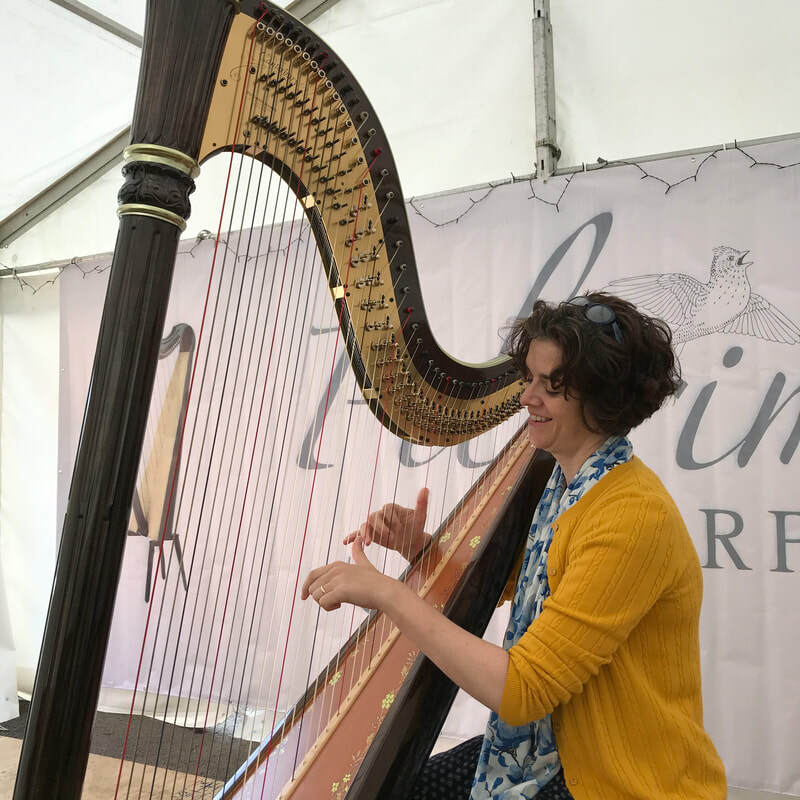 By the time she was 14, Fiona had attained a Distinction at Grade 8 on the pedal Harp and at this point, her career ideas were of becoming a Harpist, Entomologist and Graphic Designer! Realising that cloning was not yet available, she continued her Harp studies, whilst also obtaining a BA(Hons) in Design from Brunel University, London and after graduating, she worked for a design studio, whilst still performing with the Harp when not designing. She also worked at the illustrious Pilgrim Harps for four years in between all of this! Fiona’s extensive experience performing throughout the UK and abroad has been for over 15 years, with her locating her own residencies in London, Cyprus and aboard cruise ships as well. As always Alex amazed our audience with his performance. His skill and passion are really one in a million. Thank you Alex for your coming to perform for us again. We are so grateful for your support. Recent highlights of Alex’s work include: orchestral work with the BBC Concert Orchestra, the Aurora Orchestra, Bournemouth Symphony Orchestra, the Orchestre Revolutionaire et Romantique, as guest principal of the Operas of Kristiansund and Nordfjoreid (Norway) as a member of Multi-Story Orchestra and the London Sinfonietta academy; solo recitals for the Canterbury, Deal and Stogumber Festivals; Solo concerti in Brighton and Norwich; a Radio 3 broadcast of Takemitsu’s chamber music (as part of the BBC total immersion series); travelling to the Banff centre, Canada, to play for the Canadian premiere of Britten’s opera Owen Wingrave; the world premieres of solo works by Robert Saxton and Simon Holt (at London’s Milton Court), and two consecutive summers performing with the Schleswig Holstein Festival Orchestra (Germany). Whilst in Germany Alex made several acclaimed chamber appearances playing works by Mendelssohn, Hoffman and Ravel. During regular trips to Norway, he has also appeared playing Debussy’s Danses, chamber works by Ravel and Jolivet and broadcast on Norwegian radio. Spectacular! What a way to end our mini concert series! Thank you ladies for your simply stunning performance! What a way to spend a Sunday evening! Members of the UK Jazz Harp Association came to play for us. There was fantastic music, friends, and an altogether spectacular evening. Thank you for your jam session guys it was bliss! 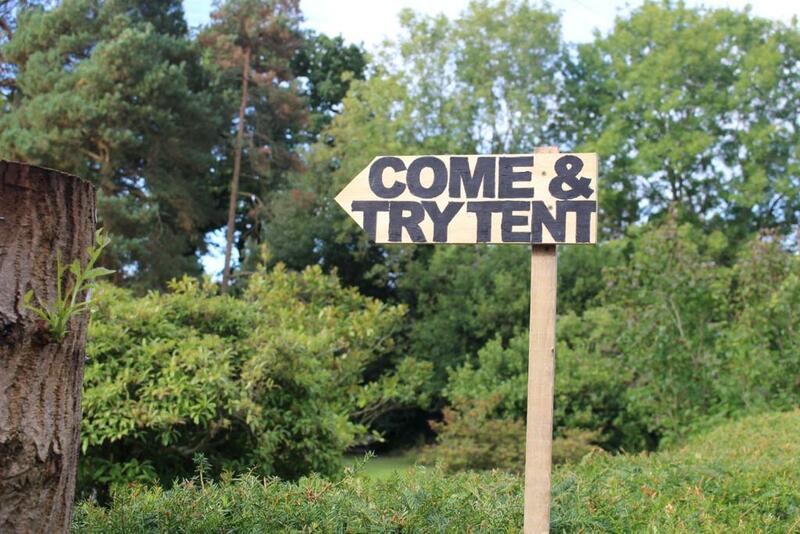 16:15 - 16:45 Open Mic - present your own song! 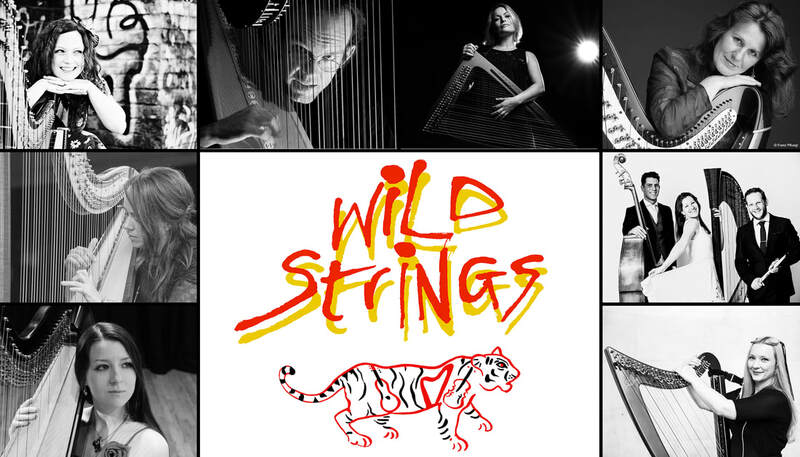 ​We had the Wild Strings Festival Team over to present a taster session for all of you who enjoy jazz & pop on the harp! 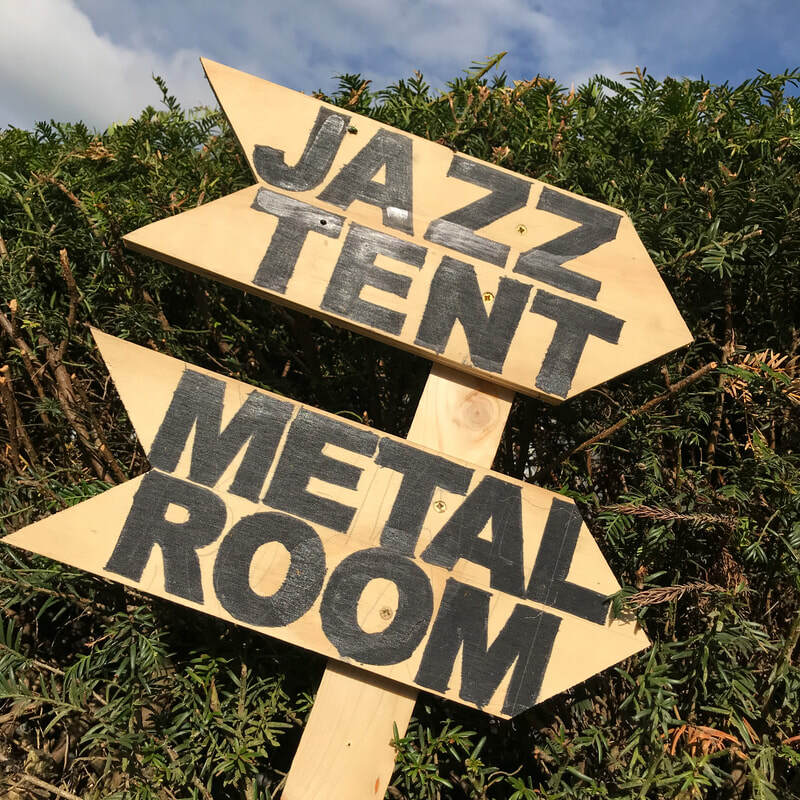 Come listen, or even play: you can try your hand at the blues, play your own songs at the Open Mic, join the Dirty Laundry Ragathon, or the Jazz Harp Jam Session. 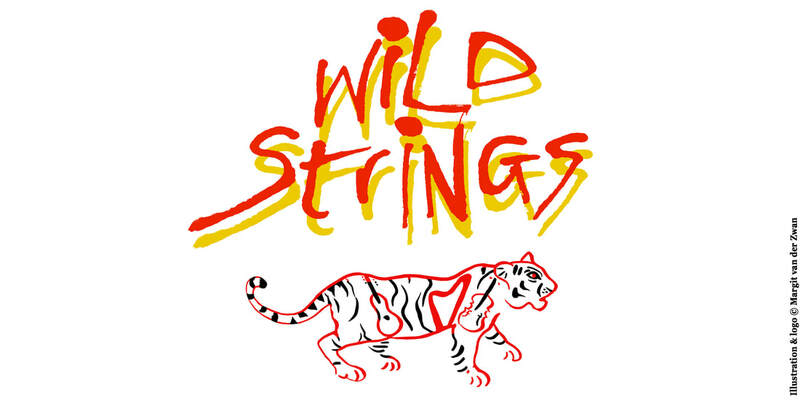 The full Wild Strings UKHA Jazz & Pop Harp Festival will take place in Manchester, Oct 5-7 - www.wildstrings.co.uk. "What a wonderful day today has been, a delightful atmosphere with wonderful Pilgrim Harps et al! 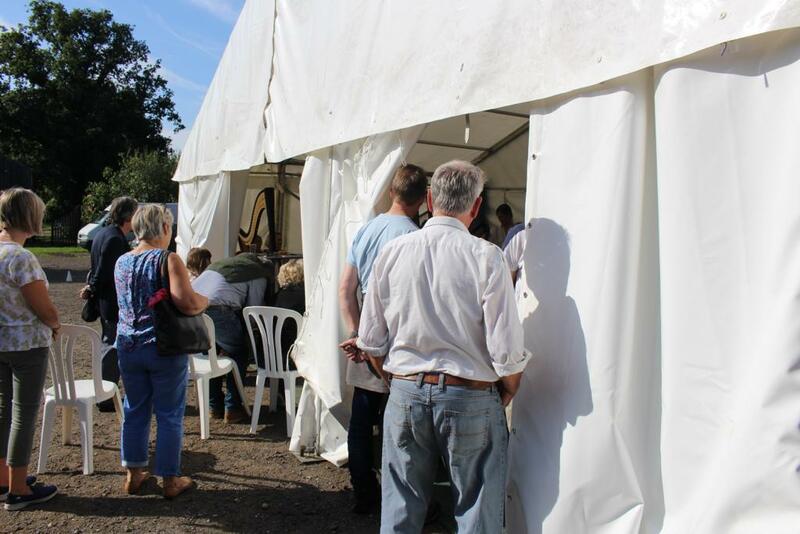 The open day was a great success, filled with happy harpists, a wonderful BBQ and endless friendly faces! Thank you all who made it happen and for inviting me to join you! Only the 3rd outing for my brand-new pilgrim electro-acoustic harp, a real treat to play! Thanks Fran for your brilliant jam session files too!" 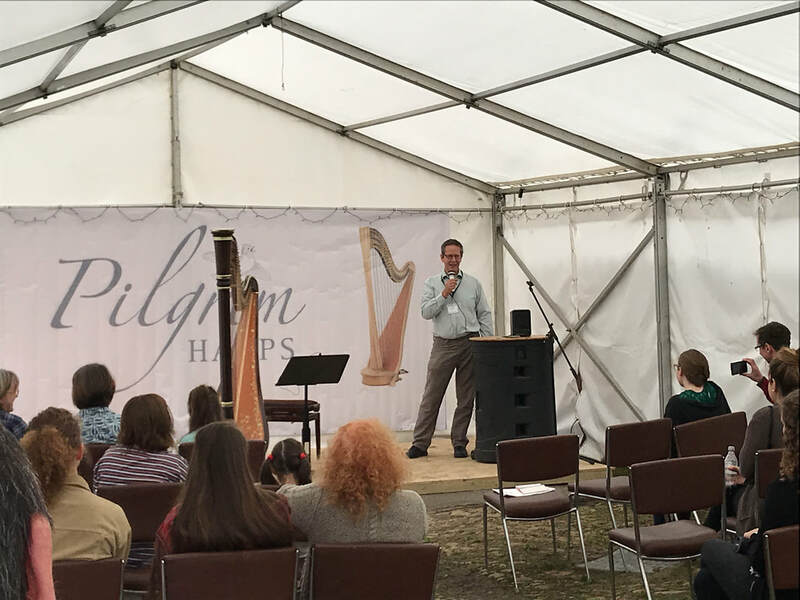 Anna Blumire kicked-off proceedings playing her Pilgrim ‘Canterbury’ Concert Harp. 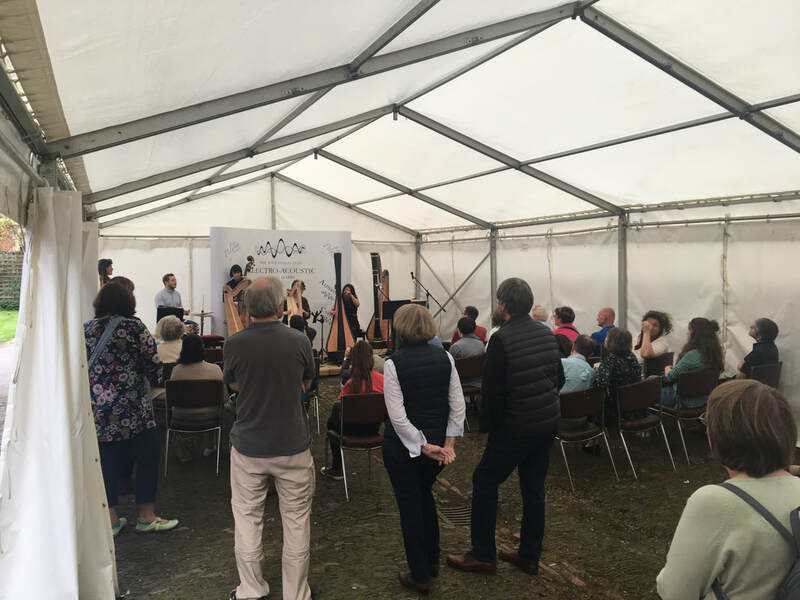 Anna is currently studying at the Royal Welsh College of Music and Drama with Val Aldrich-Smith and she played for us music by Debussy, Bach and Massenet. 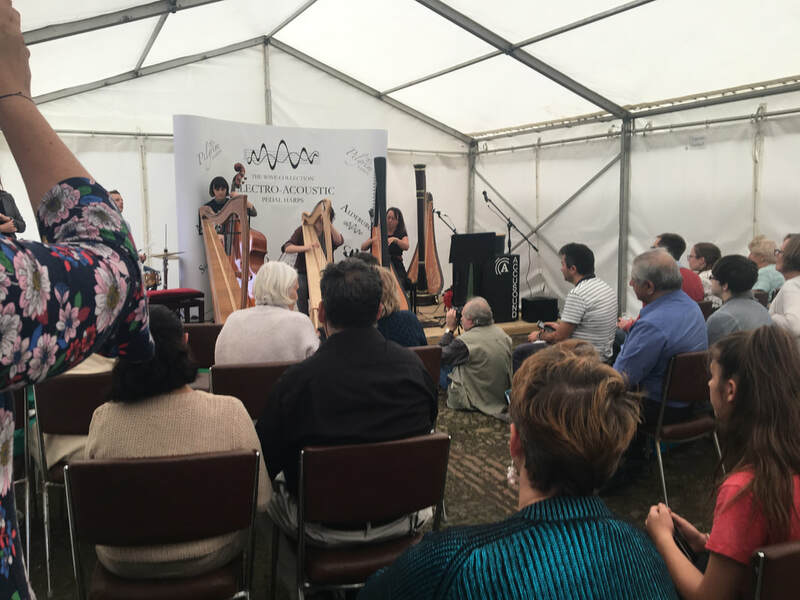 The audience were also treated to an insight into how a pedal harp works and what the pedals are for. Next up was Merlynna Johnson from the Isle of Wight. After hearing the concert harp it was wonderful to be able to hear and compare a specialist Celtic harpist. Merlynna’s repertoire is very varied from old English to Spanish, Scottish, Irish and Welsh plus Classical and Pop. We were treated to a sample of many of these styles as she filled in with little anecdotes about each piece and a few words also about the forthcoming I.O.W. Harp Festival in October. 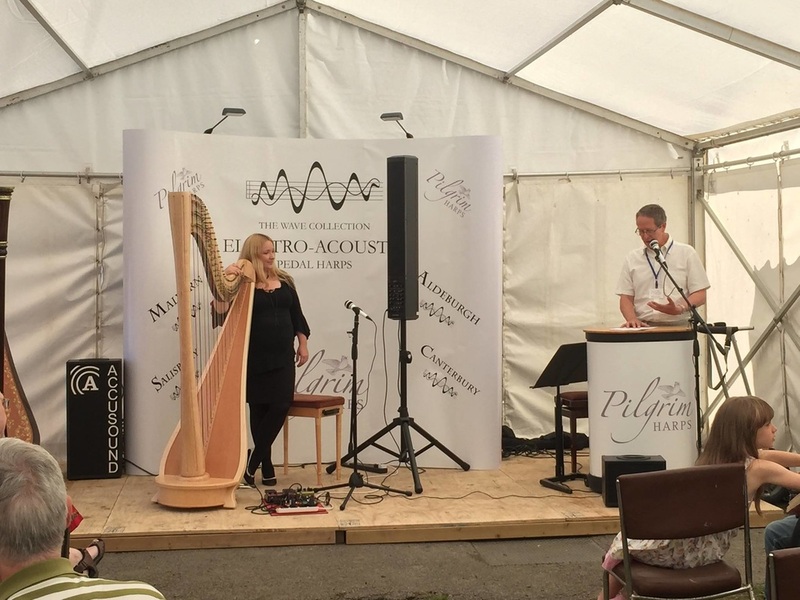 Shelley Fairplay provided a further dimension performing on her new Pilgrim electro-acoustic ‘Malvern’ Pedal Harp that she had commissioned from us very recently. Her playing was so dazzling and exciting and it was fascinating to see how she combined the use of loop and special effects pedals to build up many layers of sound. Shelley is based mainly in Wales so we were especially grateful that she had travelled over to be with us on the big day. Lizzy Peacock played next for us demonstrating as always her charming and exquisite style of performance. After spending the last few years playing in Hong Kong we were delighted to see her back here in the UK. 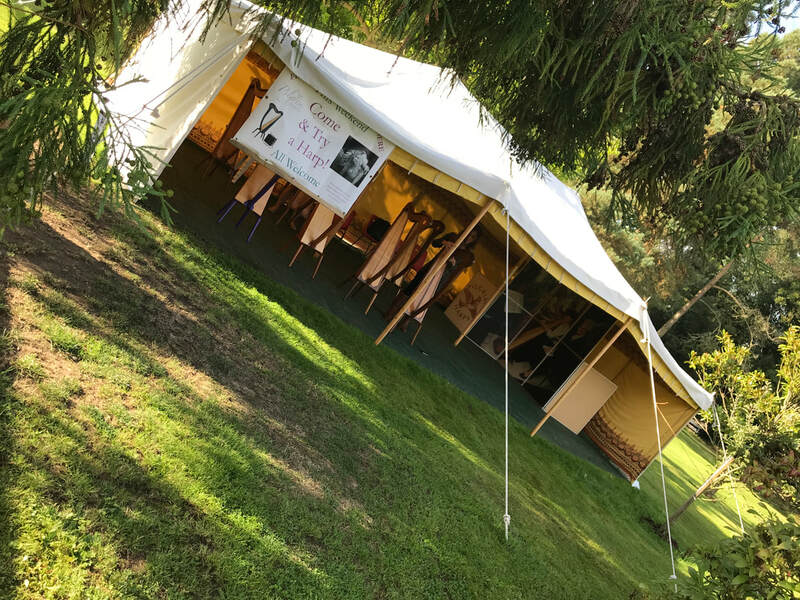 One of the joys of our Open Days are the ‘extra’ performances that always seem to get included over and above the advertised schedule and this was another of those special treats. Meredith McCrindle was the last of our soloists and she showed no signs of fatigue having flown down from Edinburgh the same morning! Meredith is one of Scotland’s principal solo musicians and is widely known as an exceptionally versatile harpist so it was such a privilege to hear her play. Meredith held the audience in the palm of her hand; it was breathtaking for instance, to see how she part improvised a varied medley of music into one stunning piece. Our very own Fran Barsby rounded off the entertainment. With her endless enthusiasm and energy, she superbly orchestrated all the days performers together on one stage for a fantastic final jam session. Their combined talents delighted us all with everything from Cold Play, Tchaikovsky and Adele to Game of Thrones and Beyonce. It’s hard to imagine a more entertaining way to finish off a perfect day. 10am - Workshops opened - Concert by Fran Barsby, interactive greatness! It was great to get requests as unique as High School Musical from the audience and hear Fran improvise them away to inspire the young students in the audience. A collection of students pieces played to inspire! A great concert. 11am - The stupendous Keziah Thomas played a fantastic set of exciting music including inspirational works such as Deborah Henson Conant's Baroque Flamenco. 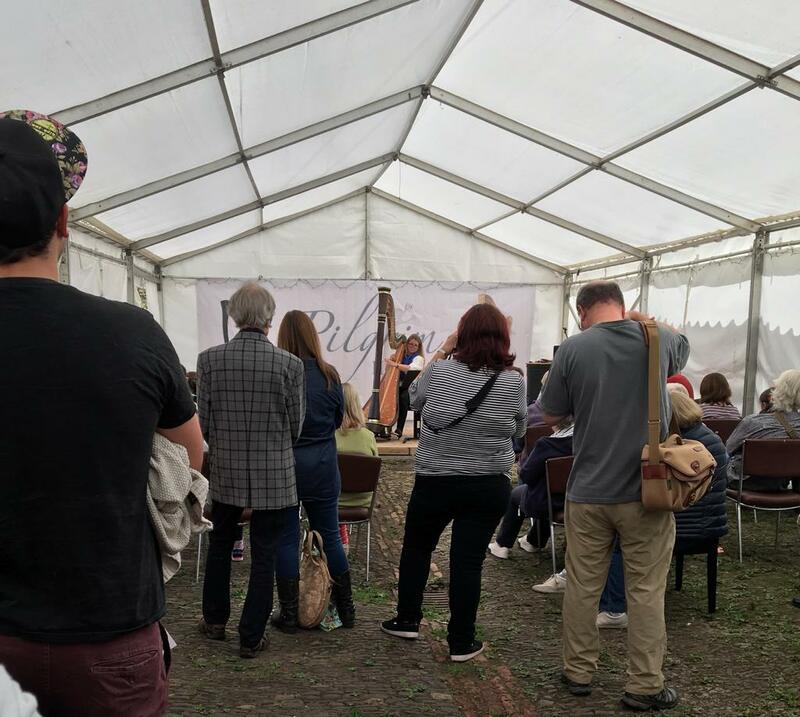 12pm - Hattie Webb - If you weren't at this concert you missed a treat, the beautiful combination of a Pilgrim Harp and Hatties voice. Absolutely breathtaking and another fantastic set!